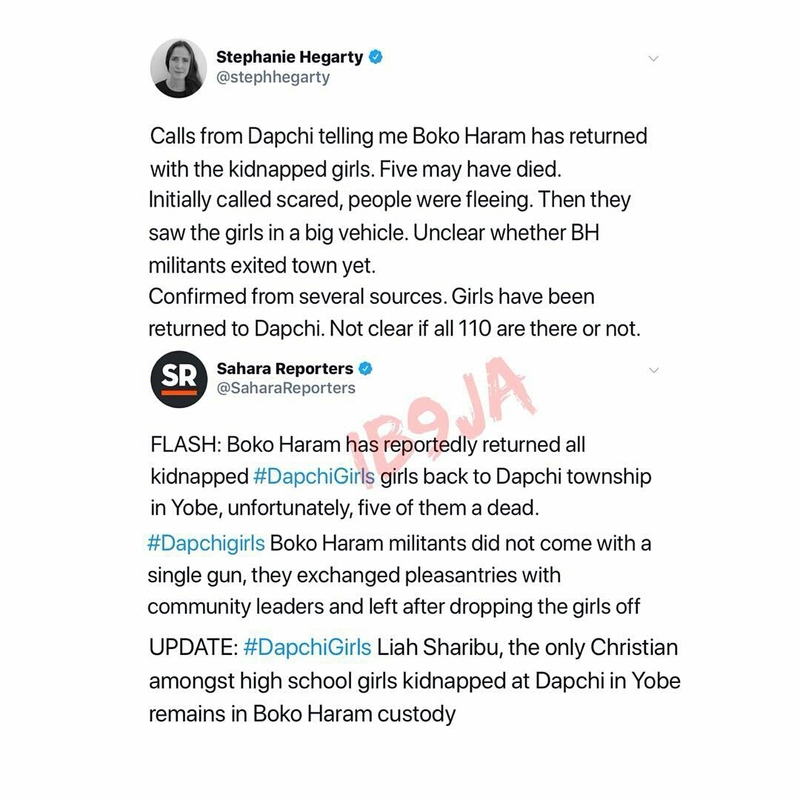 Home News & Politics DAPCHI GIRLS: Boko Haram returns girls, Five dead. 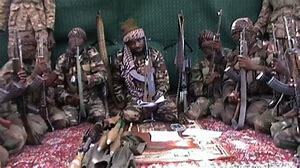 DAPCHI GIRLS: Boko Haram returns girls, Five dead. Nigerian Islamist militant group, Boko Haram today returned 105 girls kidnapped from a high school compound in Dapchi a few weeks ago. .
Sources tell Saharareporters that the militant group came with the girls in 9 vehicles same way they took them away. 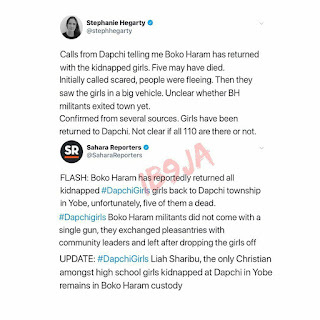 There was confusion in the area as members of the community scampered into the bush as the terror group appeared in the area, first dropping off one the girls in a nearby village and then driving into the center of Dapchi town to drop off the rest of the girls. .
Five of the girls are dead according to a source. 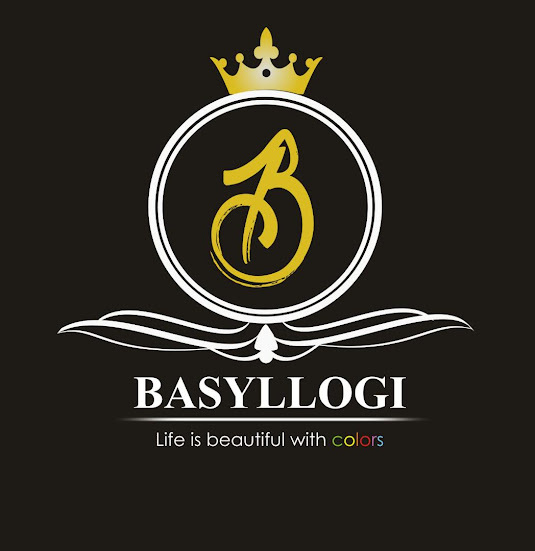 It is not clear if the Nigerian government paid any ransom to get the girls released.